March is Endometriosis Awareness month so we’ve created the Empowered In Endo package to support our endo sisters. 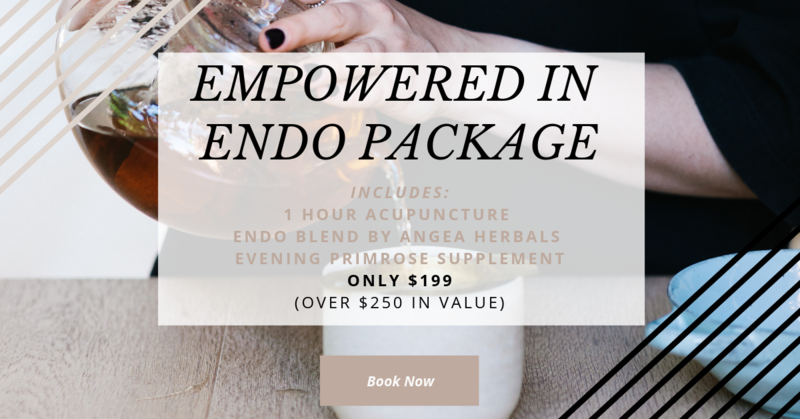 The package includes 1 hour acupuncture, an ENDO BLEND by Angea Herbals and an Evening Primrose Supplement. The pack is worth over $250 and we’re offering 10 of these packages for just $199. Offer ends 31 March, 2019.